In nearly every instance when you negotiate with a seller to lower their asking/selling price, you are leaving thousands-and-thousands of dollars on the table – dollars that could have been used to create compelling reasons for a buyer to purchase your listing. 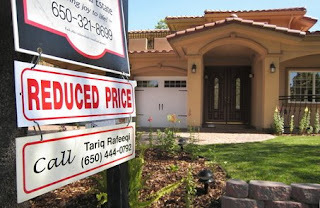 The idea that price reduction is a great marketing tool for selling property in today’s changed market is a myth. Price reductions are a “Ho Hum” means of marketing. It is certainly not a “Thinking Outside The Box” type of marketing. Potential buyers that drive through neighborhoods looking for that “special” house are confronted with FOR SALE signs all over the place that tell them nothing about the property except that there is perhaps a “new price” for the home. Most Realtors fail in their observable marketing to provide a compelling reason for buyers to inquire further about their listings. Lowering the sales price may move some stagnant properties a bit sooner, but as a primary marketing tool, it falls way short of the benefits you will gain from the other efforts talked about in the attached booklet. With a full shift in power from a seller’s market to a buyer’s market, both buyers and sellers need to re- evaluate the best approach to a transaction. The examples below illustrate how a “Closing Cost Credit” (3% for closing) from the seller, when applied toward a buyer’s Interest Rate can produce significant monthly savings for the buyer, and re-position the property to stand out against it’s competition. In this example, we used 3% in points or $13,500 to permanently buy down the interest rate from 5.00% to 4.00% resulting in a Net Savings of $241 a month.